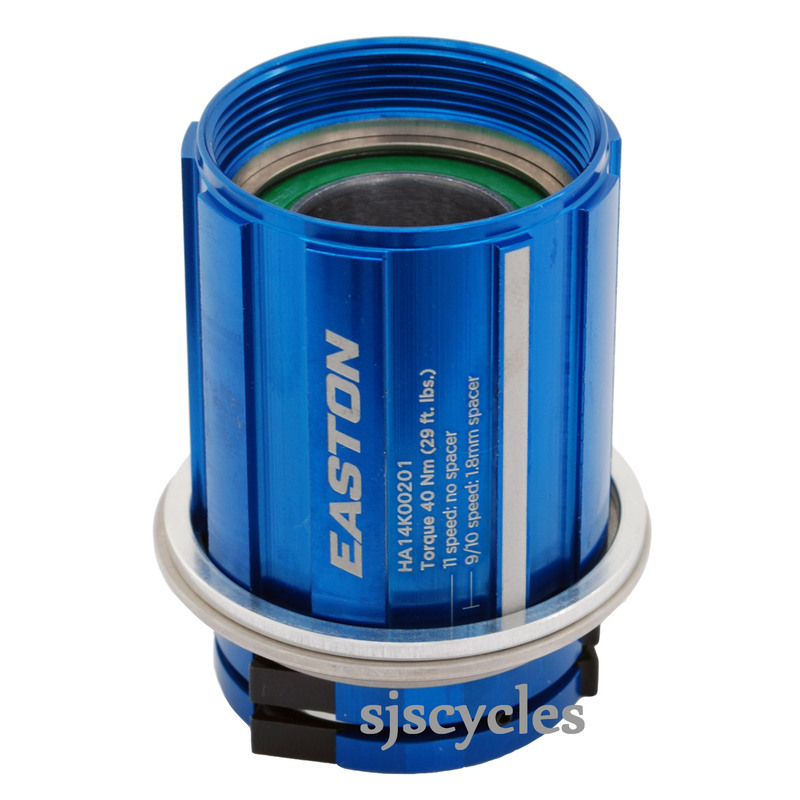 The blue M1 cassette / freehub body fits Easton M1 and X4 hubs and has Shimano HG-E splines for eleven speed road cassettes. Use this to put a set of 29" mountain wheels on your disc brake 'cross bike with 11 speed drivetrain. Can I use this for 10 speed in hub M1- 121? The only spacer that we would have is under part #44782. I've read the manual for my bike's wheels (Easton EA90 XD) and it says that the freehub body is a M1 SL? Just for 11 spd road cassettes? Mountain bike 11speed cassettes are the same width as mountain bike 10 speed, so its possible, if you can fit 10speed on your wheel you can fit 11.